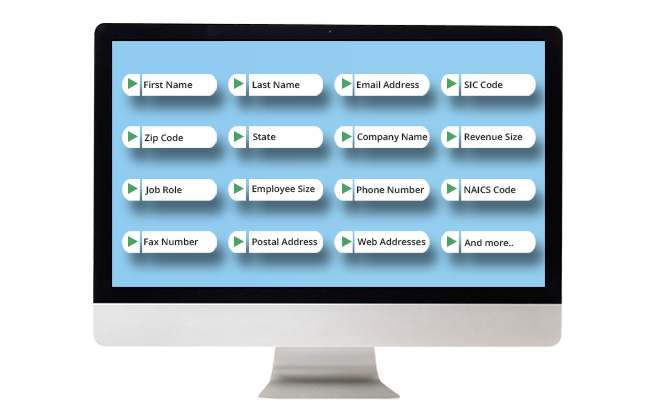 Do you need a technology database that can help you reach software and application users? eSalesData is here to help you capture your targeted market of technology users. We have the most robust and accurate Technology Users Email List. Our database contains more than thousands of users of the latest technologies and software such as cloud computing, Java, .Net, Oracle, CRM, Hadoop, SAP and more. The list is a storehouse of up-to-date and verified contact details of technology vendors, technology users, and technology executives. Using our data technology marketers can take their products and related services to the audience located across the globe including Europe, Asia, Australia, Middle East, the USA, UK, and other regions without having to spend a lot. The world is witnessing an increasing technological upsurge. With new technical advancements and latest developments, more and more companies are turning onto the use of the most recent application, software and upgradation of their existing systems to enhance productivity and boost the performance of their business operations. As a result, the demand for software solutions is on the rise, leading to a growing pool of users who greatly rely on tech products. This gives marketers of software and applications ample opportunities to increase sales. That is why they rely on our Technology Users Email Database for the right marketing data to address their marketing challenges. From top companies to small-sized start-ups, everyone today users some or the other technology to enhance their work efficiency and save cost. Moreover, with the advent of third-party software solutions providers, major software and database management systems are rapidly becoming being customized to suit needs ranging from general to specific project-linked goals. The technology industry has a lot of potentials and those who can explore them on time happens to be beneficial. We at eSalesData are dedicated to helping marketers who want to take their business to great heights. Our team has developed a highly accurate, valid and responsive Technology Users Mailing List to assist marketers in their multichannel campaigns directed towards technology users. We source our list of B2b technology user’s contact information from trusted data outlets such as market surveys, technology magazines and directories, seminars, tech conferences, and more. Going further, each record is double checked to ensure its relevance and authenticity. Only quality data is what we offer to our customers, and that is why clients using our data never fails to get satisfactory results. You can avail our customized Technology Users list today to start your campaign without any further delay. Why Buy Technology Users Email List from eSalesData?